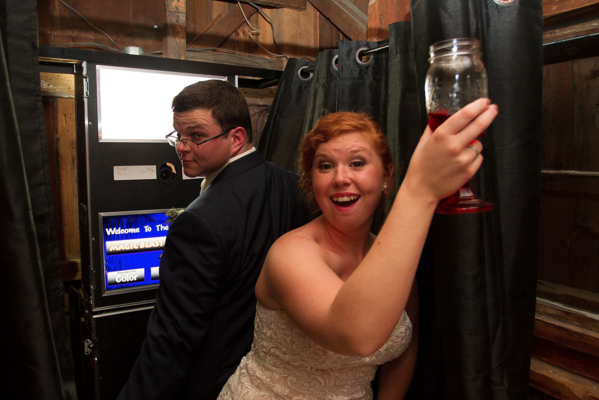 Bring fun to your event with this photo booth! This walk in photo booth has an anti glare touch screen using a Cannon DSLR Camera. Photos are printed in high resolution and right after each photo session! Each session makes two strips each with four photos. Free reprints for larger groups! During the event, guests can use the booth as many times as they wish during the booth hours that you pick for your event! Great for Weddings, Birthdays, Retirement Parties, Company Outings, Graduation Parties, Proms, School Dances, Bar Mitzvahs and many more! Great for any function or party!